An Anonymous Donor gave $250 because 15 donors made a gift in 34 days. The Inter House Team is composed of students from Colorado School of Mines and four international partner universities in Morocco and Italy. Our mission is to educate the international public about green living, empower students to build a more sustainable future, and build the most innovative house at the 2019 Solar Decathlon Africa. 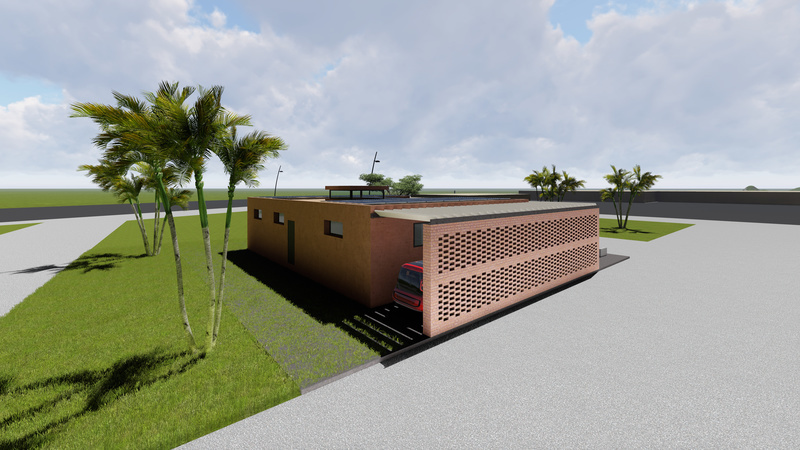 Solar Decathlon Africa is an international competition for green buildings, which challenges collegiate teams to design, build and operate grid-connected, attractive and net-zero energy houses. The Inter House team, led by Colorado School of Mines, is one of 20 teams from around the world to compete in the September event, held in Ben Guerir, Morocco. We are committed to designing and building an affordable house that will support Morocco’s growing interest in residential renewable energy. This is an incredibly hands-on, immersive learning experience for Mines students that will teach building science, leadership, and international communication skills. Mines students will build and purchase certain mechanical systems here in the U.S., and then ship them to Morocco for the competition next summer. Supporting our campaign will help us acquire the necessary components and begin the shipping process! On behave of the Inter House Team, thank you so much for helping us achieve our goal.